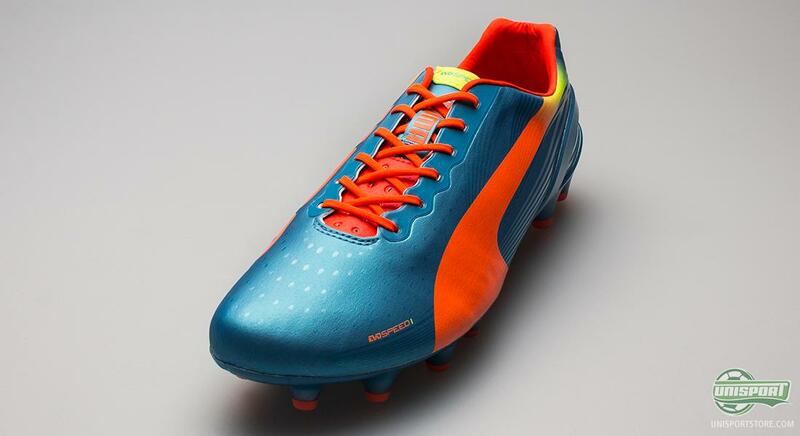 There is no doubt that PUMA are among the top contenders when we are talking about colourful versions of their boots, and the latest paint job for the light evoSPEED 1.2 clearly underlines this exact point. 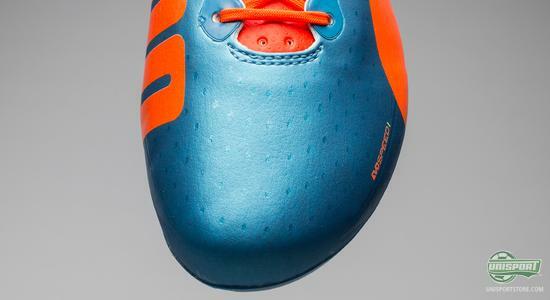 The new football boot with focus on low weight and speed from PUMA is now launched in a Blue/Yellow/Orange colourway, which comes both in a leather and a synthetic version, and which we will see on the feet of PUMAS's growing team of stars in the evoSPEED football boots. 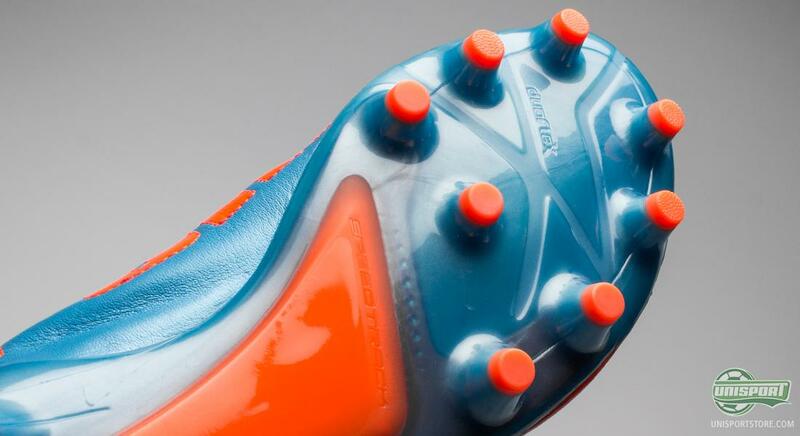 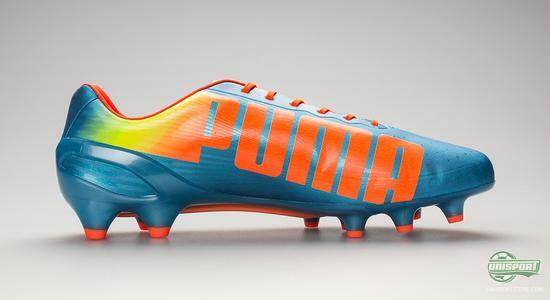 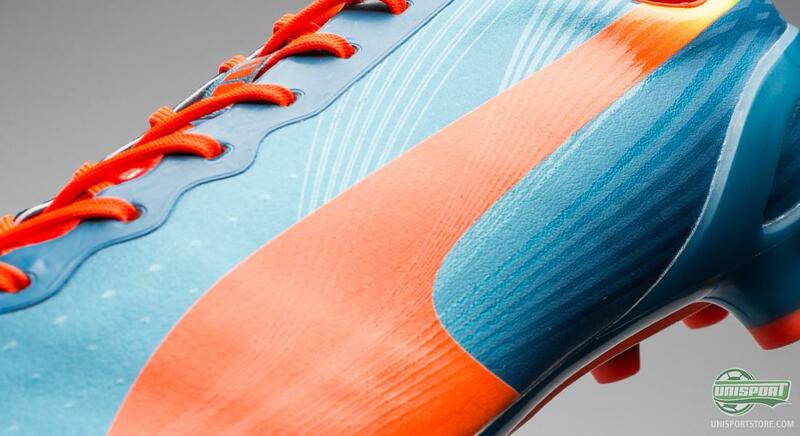 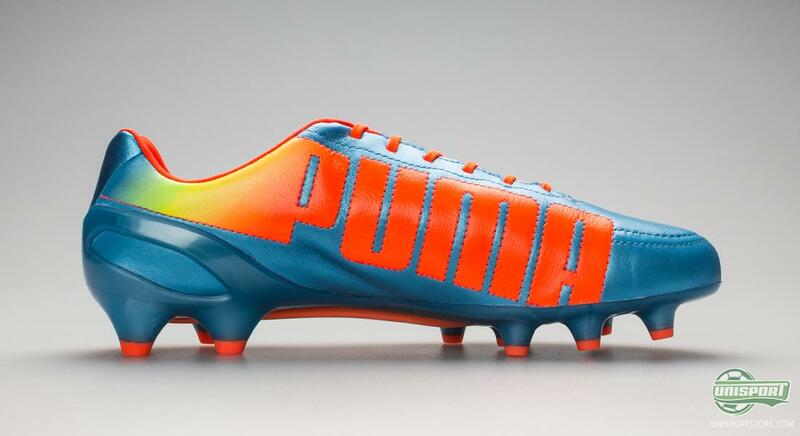 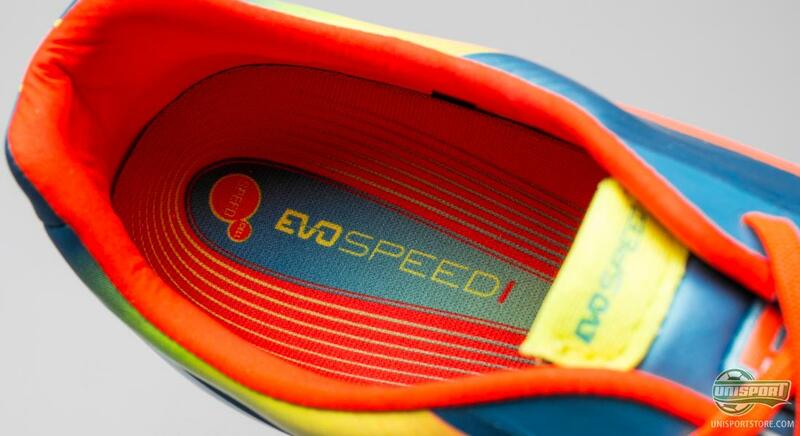 According to PUMA, the design on the evoSPEED 1.2 is inspired by muscles, joints and, well... race cars. 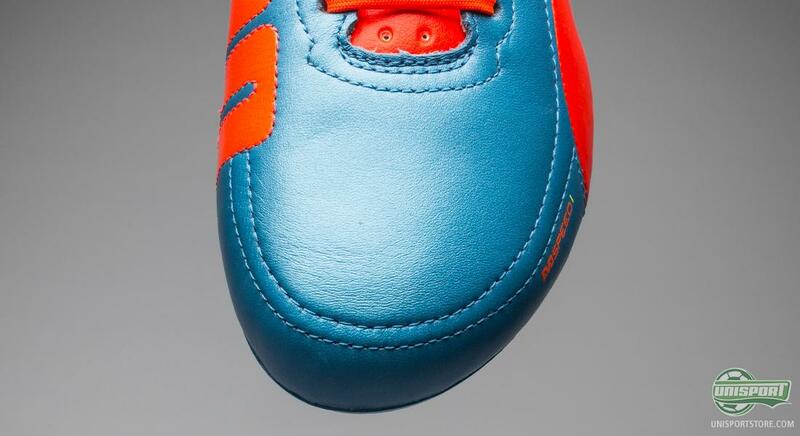 Yes, the last may be a little hard to associate with the first two inspiration sources, but this is what they say. 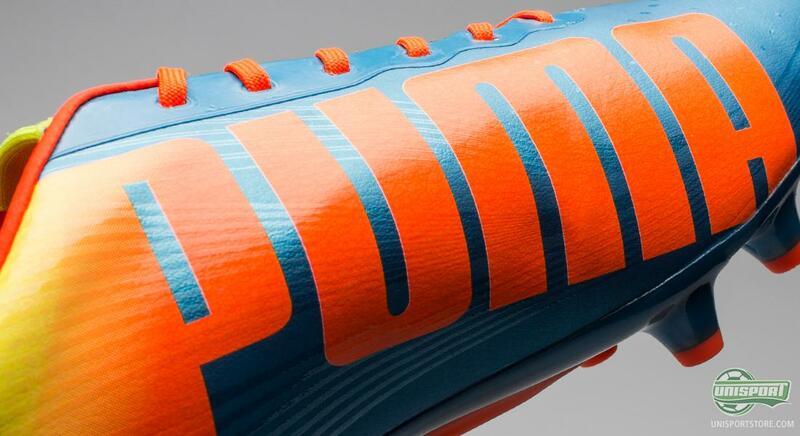 PUMA are telling that the graphical design of the boot is inspired by the soft curves of race cars, as well as the air intake. The evoSPEED 1.2 has come to life to offer three main points: Low weight, flex and a perfect fit  or as PUMA put it, Light, flex and fit. 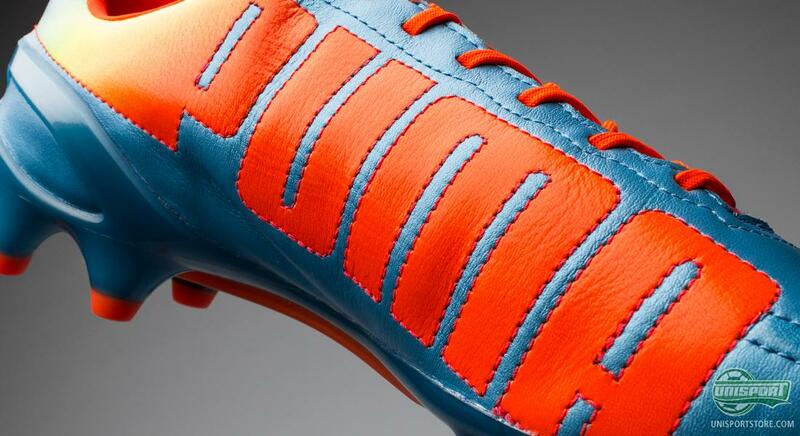 And luckily the boots also delivers. 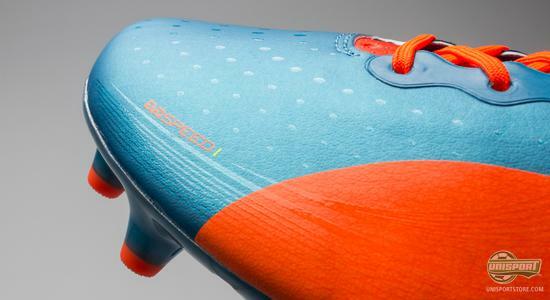 The evoSPEED 1.2 weighs in at 198 grams in the synthetic version, which admittedly could have been lower  but on the other hand PUMA compensate well by providing extra support and comfort. The PUMA evoSPEED 1.2 comes with two different uppers; a leather version and another version made of top quality Japanese synthetic, which has also been designed with a leather emulating finish in order to provide the elegant feel. 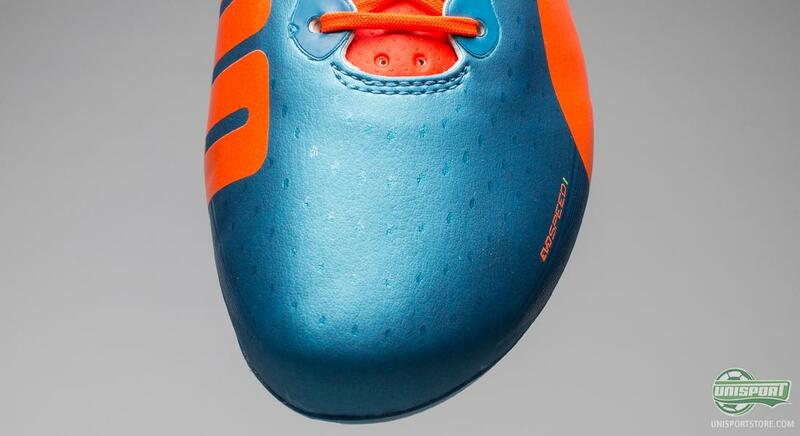 The upper on the synthetic model is thin and soft to provide a snug fit and a precise ball feel. In addition, the boot is equipped with the GripTex technology, which consists of little sticky dimples that ensure a good ball grip and hereby add to your ball control, even when the rain starts to fall. 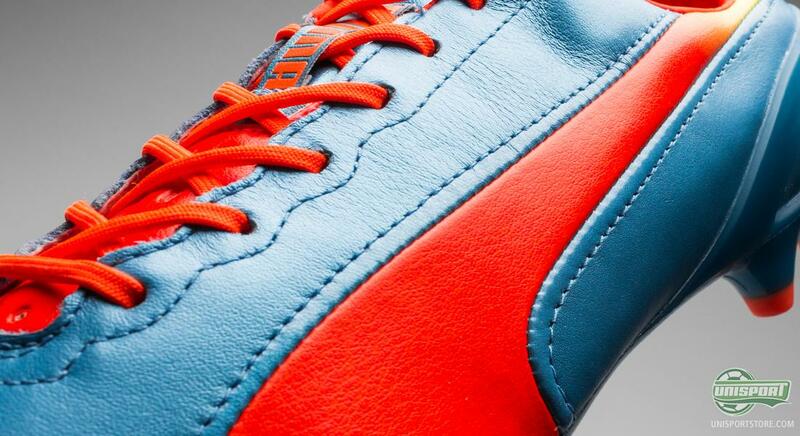 In order to keep the high level of comfort the PUMA want, they have ensured an anatomically correct shaped last that follows the curve of your toes in a unique manner, and therefore provide a great fit straight out the box. Moreover, PUMA have fitted in their EverFit Cage technology on the inside of the upper, which act as a skeleton in the boot, and ensures good stability to the upper and hereby keep your foot well in place. One of the great successes of the Puma Evospeed has been that they have also produced a nice leather version, which provide an optimal touch on the ball and ensures a nice and personal fit; and also for this blue and orange version of the Puma evoSPEED 1.2 they have fund the space to include a leather model. Here the upper is made of the extremely nice and supple calf leather that quickly adapts to your foot and hereby provides that personal and incredibly comfortable fit, as well as the soft and natural touch on the ball, which the leather material is known to deliver. But how does the boot then perform on the pitch? 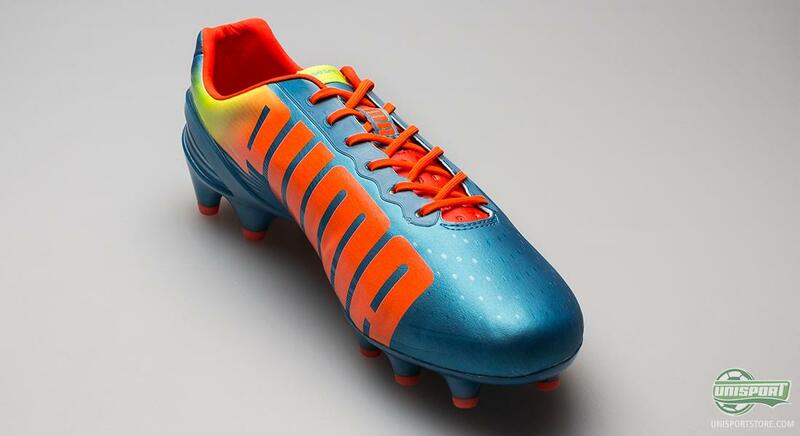 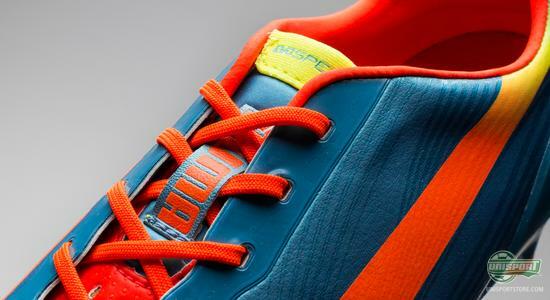 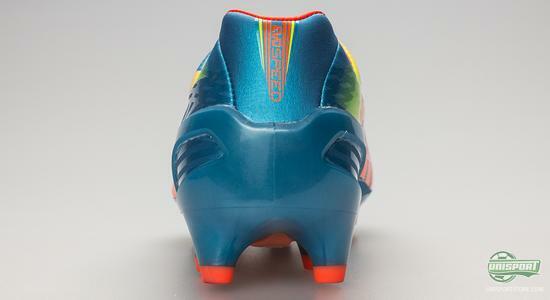 Check out Jakob's review of the evoSPEED 1.2 just below and find out if it is to your liking. 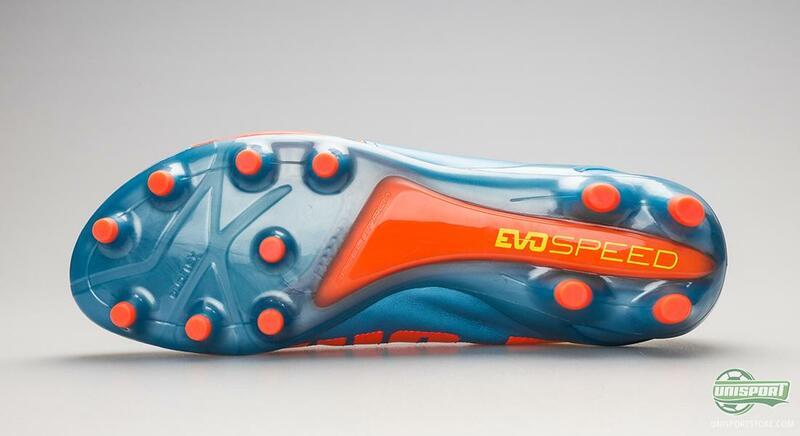 No matter if you are most concerned with a close ball feel from the synthetic model or the exclusive feel of leather, you will be able to get the new colourway for the PUMA evoSPEED 1.2  and we are looking forward to seeing it hit all the pitches in the new year. But what are your thoughts on the colour  is it to your liking? 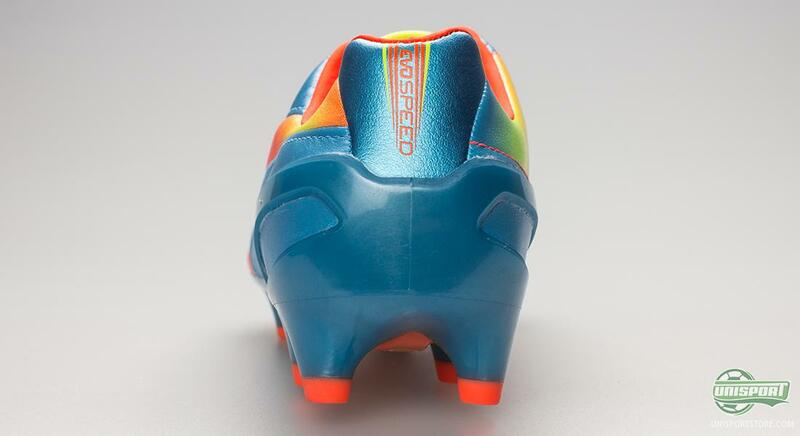 Feel free to share your thoughts with us in the box below, or on Facebook and Twitter.